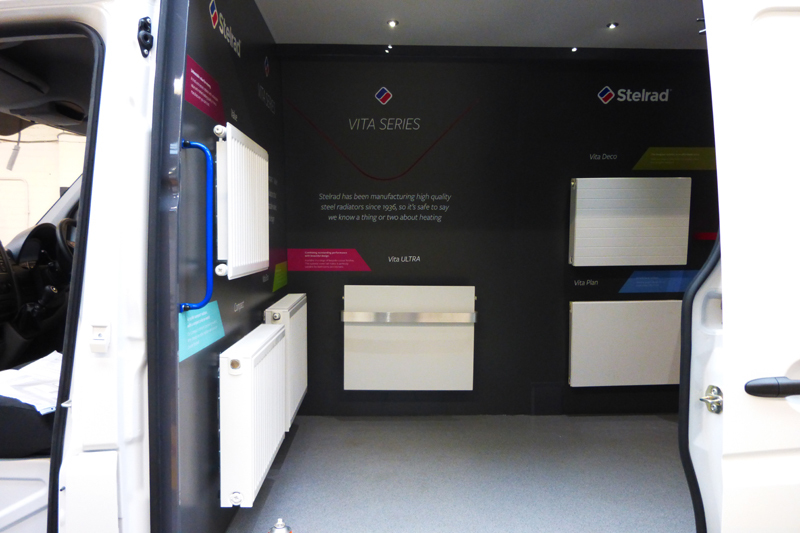 The Stelrad Vita Series Roadshow is back for 2019 and coming to a merchant near you. The fully fitted out training van is giving installers up and down the country the opportunity to get to know the Vita Series – which is said to have transformed radiator buying in the UK. A series of events has been planned from through to May, with further dates to be announced as the year progresses. The visits will be co-ordinated by the local Stelrad Brand Specialist and see the training van parked in the car park outside the merchants, offering installers the chance to get up close and personal with the Vita Series range of radiators, whilst enjoying a few treats. The Vita Series is made up of 15 radiators, offering value and design options to suit every budget and taste. It features simple and transparent pricing, using published trade prices so that installers can purchase the products and recommend the best quality solutions to their customers at known, affordable prices. The Stelrad Vita Series comprises the Vita Compact, the Vita Eco for those wanting an energy saving option, the Vita Silhouette, Vita Deco, Vita Deco Concept, Vita Column and Vita Column Concept for those wanting a designer radiator look, to Vita Plan and Vita Plan Concept – a flat faced, smooth fronted design and finally, the Vita Ultra – with bespoke colour finishes available. There are also the Vita Compact Vertical, Vita Deco Vertical and Vita Plan Vertical models for those looking for a stylish choice in a smaller space.